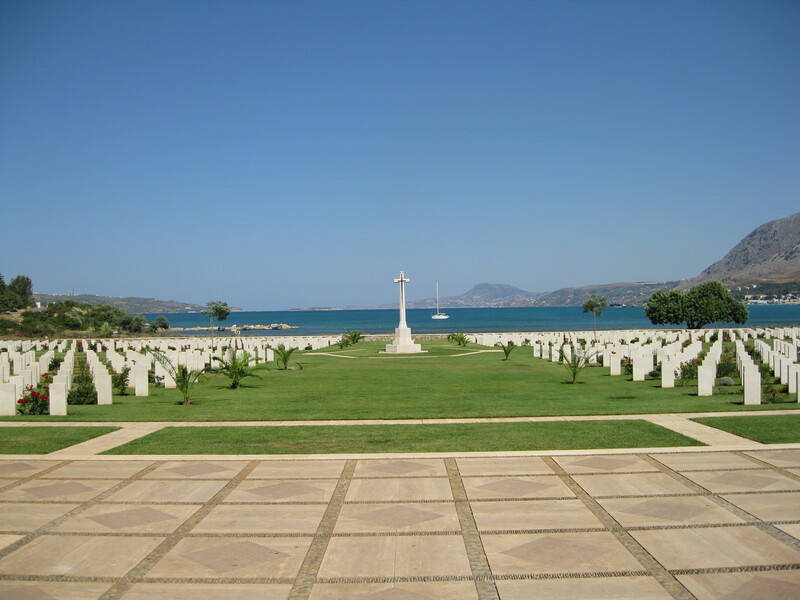 Out on the edge of the sea beyond Chania, set between the outstretched arms of two rocky cliffs, is Souda Bay Cemetary, the resting place of the 1500 allied soldiers, sailors and airmen who lost their lives in battles to defend Hill 101, Maleme Airfield and Galatos. Among them lie those who were left behind to perish in prisoner of war camps or who fought with the Cretan Resistance and were executed alongside them . Outside Souda Bay cemetery, in a small gatehouse, is a type of tabernacle, with a book, listing the names of all who are buried here. I recognise many – famous names, whose stories of bravery and heroism I know. I recognise family names from home in Aotearoa, New Zealand. 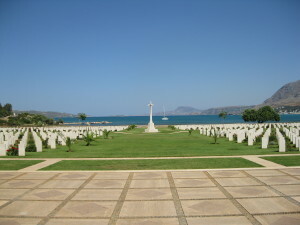 Outside this graveyard too, display boards tell the story of the Battle for Crete – this time from the Allies side. Days before the German invasion, Allied intelligence had cracked the German enigma code and uncovered the operation they called Mercury, so they were prepared for the invasion. It should have been an easy victory, but it was not. Broken supply and communication routes in the first crucial days saw the loss of Hill 101 and the Airfield at Maleme. After that, troops, already battle weary from their disastrous campaign in Greece, and depleted of ammunition could not hold back the onslaught. 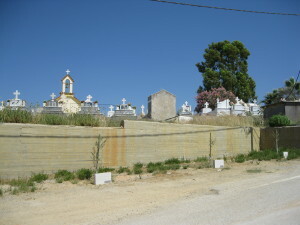 Further back along the coast from Maleme, a short way inland on another hill, is a small church surrounded by graves. Just below it, a row of stone monuments throw dark shadows in the dust and a line of puny trees struggles in the wind.